If you’re a bar owner or manager, you might feel like your biggest asset is the drinks you serve. After all, aren’t people coming in to order their favorite wine, a craft beer or your proprietary mixed drink? While the drinks you serve are important, just as valuable is the glass those drinks are served in. When it comes to serving alcoholic beverages, the type of glassware is vitally important. Those beer mugs with a handle? That’s just one example of where form follows function. The handle keeps customers’ hands off the beer glass itself, allowing the beer to stay cooler longer which helps maintain its proper taste. Champagne flutes are tall and thin to keep the carbon dioxide from escaping as quickly as it would in a shorter glass, which helps the bubbly stay bubbly. Check out the Glass Picker at www.hobartperfectglass.com for a quick guide of which glass goes with specific drinks to make sure you’re putting your best foot forward when serving drinks to your customers. That old cliché is truer than ever when it comes to glassware in a bar. Once you’ve picked out the perfect type of glass for your drink, you want to make sure it’s as clean as possible to give your customers the best experience. Any spotting or residue left on a glass can ruin a first impression, and it can also affect the taste of the drink. That fog on the glass isn’t just a smudge, it may be chemical residue left from improper rinsing. The chlorine contained in chemical sanitizers can physically change the properties of a drink. For example, with beer chlorine can change the color as well as reduce the head when poured. The residue has the potential to affect the taste of the drink as well. An undercounter glasswasher can help solve the problems bars face when using traditional sink washing for glassware. Whether you choose a high temperature or chemical sanitizing dishwasher, the process leaves glasses clean, sanitized and clear of any chemical residue. With high-temp dishwashers hot water completes the sanitizing process, and the PuriRinse™ feature on Hobart’s chemical sanitizing dishwashers adds a short rinse after chemical sanitization to leave glasses completely clean. Another benefit of undercounter commercial dishwashers is the energy and water savings. Rather than filling up a sink multiple times with hot water, Hobart LXGeR undercounter glasswashers only need a cold water supply for the high temperature wash and rinse, which reduces electrical use. And Energy Star rated, high-efficiency machines use less than a gallon of water per rack on high temp units. Improved labor efficiency is another important benefit. 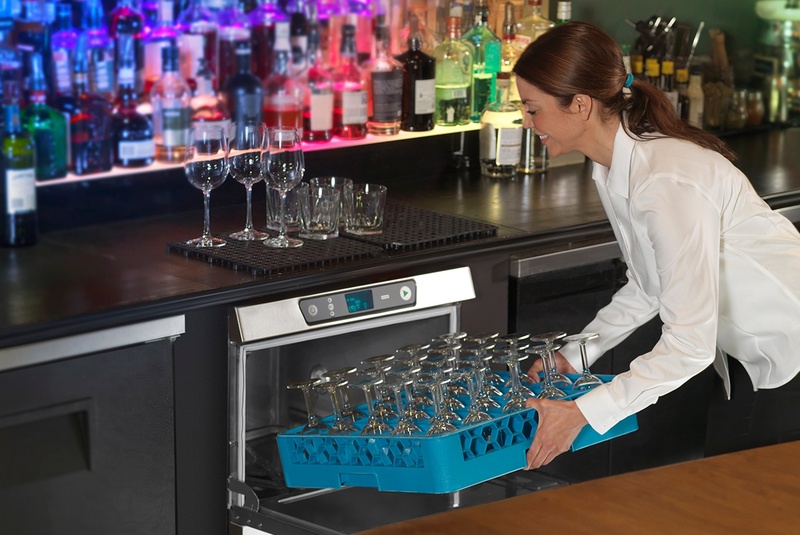 With an undercounter dishwasher keeping dishes clean, your bar tenders can be mixing drinks and serving customers rather than spending their time over a sink, thereby improving the overall experience for people visiting your bar. A ventless glasswasher keeps unwanted steam out of your bar. Other options to consider include high energy efficiency ratings, and a soft start to help prevent glasses from chipping and breaking during the wash. The benefits of a glasswasher are numerous, but what it all boils down to is improving your bottom line. With clean glasses the appearance and taste of your drinks will be top quality, reducing the probability of returned drinks and improving the likelihood of loyal, repeat customers. You’ll be able to serve more drinks per hour and keep customers satisfied, which is the cornerstone of good business. 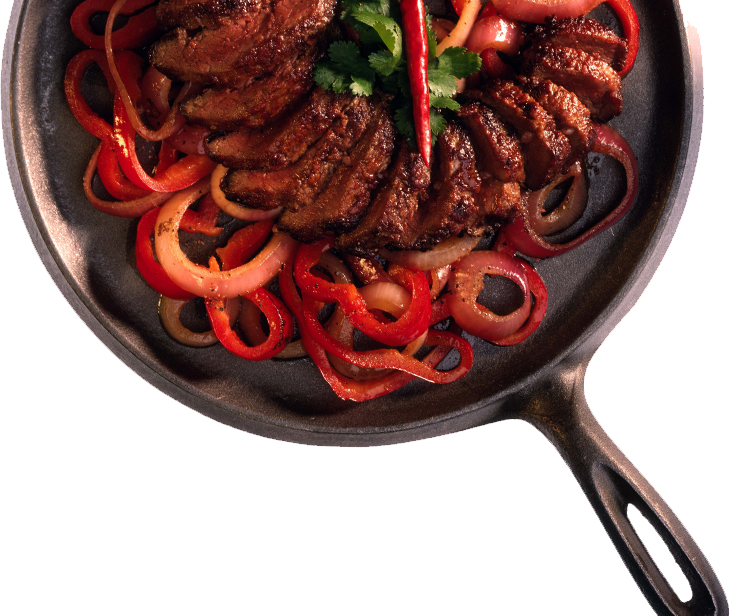 Click here to watch more about maintaining the best glass with the right dishwasher at Foodable.com.